Your boardroom should be a place for making bold plans and impressing important visitors. And yet, lots of companies neglect boardroom technology, forcing executives to rely on old laptops and projectors that make their ideas memorable for all the wrong reasons. It doesn’t have to be that way. 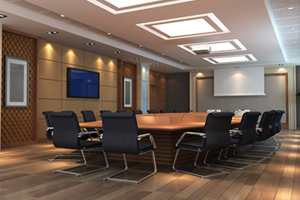 Using boardroom projectors that disappear when not in use, high-definition video and audio, and automated presentation controls, Appalachian Home Technologies can help bring your meetings to life. We can ensure that you make the most of the space you have in your boardroom, and that the technology you need to make the right kinds of impressions are always close at hand and working the way they’re supposed to. Whether you’re going to be conducting in-person meetings, virtual meetings, or even live web conferencing events, our group of specialists can design something that’s affordable, elegant, and in-line with your everyday business needs. And best of all, we won’t just plan, test, and install everything – we will also be around to provide critical support if you ever need it. If you never want to hear an executive ask “why isn’t this working?” ever again, and want to start enjoying flawless presentations with a simple, straightforward interface that can all be controlled from a single remote, then it’s time to look into smart boardroom technologies. It probably costs a lot less than you think, and the difference it can make in your business is astounding. Contact AHT today to learn more about boardroom technology and to see how we can bring cutting-edge meetings and presentations to your organization.